In this carefully crafted commentary Peter O'Brien distinctively harvests the results of recent scholarship on the letter to the Hebrews, especially in relation to the genre of the document and the flow of its discourse. O'Brien views this letter as a "word of exhortation" — a homily or sermon that skillfully interweaves exposition and exhortation, encouraging faithful perseverance in the light of the superlative final word that God has spoken in Christ. Reflecting the PNTC series as a whole, O'Brien's volume on Hebrews is neither unduly technical nor unhelpfully brief — purposely a middle-range commentary. Its careful exegesis and exposition and its theological richness and warm devotion will fruitfully serve pastors, teachers, and students everywhere. You can get a sample of this new volume here. Jonathan gives a report on last weeks debate in Seattle and then devotes the rest of the show to the subject of sanctification, centering around an exegetical study of Romans 7. Perhaps the most helpful analogy here is the geometrical one. Given that we are stereo-optical creatures restricted to one point of view in time and space, we lack the capacity to see every part of a three-dimensional object at once, particularly if it is large and complex. For example, suppose I visit a house to assess it as a potential purchase. Clearly, it is not possible for me to view the front, back, and sides of the house simultaneously. I need to change my vantage point—my perspective—to gain a fuller understanding of the house. Likewise, I cannot see the entire house all at once in fine detail. I can first stand back and take a wide view, but then I need to step up close and scrutinize individual features. Exterior and interior views give me further perspectives and enhance my knowledge. I may also decide to visit the property again in different weather or lighting conditions. Finally, it will be prudent of me to invite other people to view the house, so that I can benefit from their additional perspectives. Our spatiotemporal limitations are but one aspect of our finitude. Frame’s basic point is that what goes for geometrical perspectives goes for other kinds of conceptual perspectives too. The geometrical analogy also makes it clear that the charge of relativism, occasionally leveled at Framean perspectivalism by its critics, is quite misguided. It doesn’t follow, from the fact that a house appears differently to five people standing in various locations, that the house as such is different for each person or that there are no objective truths about the house. The critics thus conflate relativism and relativity; the former is self-defeating nonsense, whereas the latter ought to be self-evident common sense. In any case, Frame is careful to point out that the very basis for objectivity is the existence and self-revelation of an absolute God. My point in this quote is not to claim that Frame's triperspectival "perspective" is helpful (though I have found it to be helpful in my hermeneutics), but only to point out that triperspectivalism, rightly understood, is not teaching "relativism" or that you can't call someone's perspective "wrong." After all, Frame calls people's "views" wrong all the time! If you are interested in the festschrift more details can be found at Anderson's blog. As many of you are probably already aware, WTS has made available for free many full class lectures online. They just recently added Moises Silva's class on the Intro to the NT (not a NT survey). The amount of excellent audio available is really unsurpassed in my opinion. You can listen to Van Til on apologetics, Richard Gaffin on Christology, John Murray on soteriology, and much more. If you are interested, you must sign up and then login. The ending of Mark’s gospel poses quite a different, and more severe, problem [than the variant in Mark 1:1]. The majority of manuscripts include the so-called long ending, in which are narrated several resurrection appearances of Jesus, Jesus’ commissioning of the disciples, and his ascension. This long ending is printed as verses 9–20 in the KJV; in modern English versions, it usually appears in the margin or with a notation. Since it is found in the bulk of the manuscripts and can be traced to the first half of the second century, this long ending can lay some claim to be considered as the original ending of Mark’s gospel. At the same time, however, out of deference to the evident antiquity of the longer ending and its importance in the textual tradition of the Gospel, the Committee decided to include verses 9–20 as part of the text, but to enclose them within double square brackets in order to indicate that they are the work of an author other than the evangelist. "It is a serious thing to live in a society of possible gods and goddesses, to remember that the dullest and most uninteresting person you talk to may one day be a creature which, if you saw it now, you would be strongly tempted to worship, or else a horror and a corruption such as you now meet, if at all, only in a nightmare. All day long we are, in some degree, helping each other to one or other of these destinations. . . . There are no ordinary people. You have never talked to a mere mortal. Nations, cultures, arts, civilization—these are mortal, and their life is to ours as the life of a gnat. But it is immortals whom we joke with, work with, marry, snub, and exploit—immortal horrors or everlasting splendors." -C.S. Lewis; The Weight of Glory, p. 15. Jonathan and Bryan start out by answering some emails and then they move to a conversation about two kingdoms theology and the debate this weekend in Seattle. "…Christianity asserts that every individual human being is going to live for ever, and this must be either true or false. . . . And immortality makes this other difference, which, by the by, has a connection with the difference between totalitarianism and democracy. If individuals live only seventy years, then a state, or a nation, or a civilisation, which may last for a thousand years, is more important than an individual. But if Christianity is true, then the individual is not only more important but incomparably more important, for he is everlasting and the life of the state or civilisation, compared with his, is only a moment." There is a question as to weather or not John 7:53-8:11 is original to the Gospel of John (or any other canonical book for that matter). Carson and Moo, in their An Introduction to the New Testament, comment on this passage about the women caught in adultery and have this to say, which I agree with. Despite the best efforts of Zane Hodges to prove that the narrative of the woman caught in adultery (John 7:53–8:11) was originally part of John’s gospel,116 the evidence is against him, and modern English versions are right to rule it off from the rest of the text (TNIV) or to relegate it to a footnote (RSV). 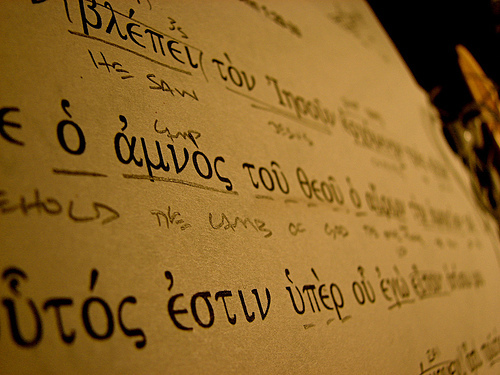 These verses are present in most of the medieval Greek minuscule manuscripts, but they are absent from virtually all early Greek manuscripts that have come down to us, representing great diversity of textual traditions. The most notable exception is the Western uncial D, known for its independence in numerous other places. They are also missing from the earliest forms of the Syriac and Coptic Gospels, and from many Old Latin, Old Georgian, and Armenian manuscripts. All the early church fathers omit this narrative; in commenting on John, they pass immediately from 7:52 to 8:12. No Eastern Father cites the passage before the tenth century. Didymus the Blind (a fourth-century exegete from [p. 274] Alexandria) reports a variation on this narrative,117 not the narrative as we have it here. Moreover, a number of (later) manuscripts that include the narrative mark it off with asterisks or obeli, indicating hesitation as to its authenticity, while those that do include it display a rather high frequency of textual variants. Although most of the manuscripts that include the story place it at 7:53–8:11, some place it instead after Luke 21:38, and others variously after John 7:44, John 7:36, or John 21:25.118 The diversity of placement confirms (though it cannot establish) the inauthenticity of the verses. 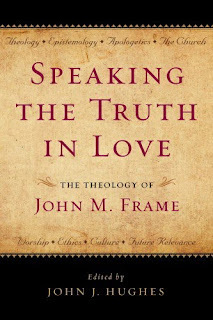 Finally, even if someone should decide that the substance of the narrative is authentic — a position plausible enough — it would be very difficult to justify the view that the material is authentically Johannine: it includes numerous expressions and constructions that are found nowhere in John but that are characteristic of the Synoptic Gospels, Luke in particular. Preaching the Kingdom of God in the Dominican Republic. A friend mine recorded on an i-phone a sermon I preached in a small village in the Dominican Republic called La Bonita. Sounds pretty good....well for the mission field... enjoy! A few days ago I received an email from Dr. Clinton E. Arnold, the ETS President-Elect & Program Chair, about this year's annual meeting of the Evangelical Theological Society, which is meeting in Atlanta on November 17th-19th. The theme for the annual meeting this year is “Justification by Faith.” The plenary speakers will be Pastor John Piper (Pastor of Bethlehem Baptist Church, Minneapolis), the Bishop N. T. Wright (Bishop of Durham), and Dr. Frank Thielman (Presbyterian Professor of Divinity, Beeson Divinity School). In addition to the usual plenary sessions, this year’s meeting features a two-hour panel discussion with the presenters on Friday morning. I am looking forward to attending ETS this year. I do not have plans, at this time, to present a paper, but I am very excited about the theme and the panel discussion by Wright, Piper and Thielman on justification. I hope to see you there.